It’s the concluding “conversation” here in Dar es Salaam. The moderator has asked for frank and feisty remarks. She must know Bob Geldof is in the audience. 11:06 Not many in support of the motion which was posed by Jeffrey Sachs yesterday. 11:07 What is Tanzania doing to drive private entrepreneurship.. . . ? Asked to President Kikwete directly. 11:08 He seems a little fazed by the question . . . Trevor Manuel from SA has stepped in to help. 11:12 Same Q to Senegal’s Abdoulaye Diop. 11:16 Sir Bob: “Dar es Salaam is rife with corruption” . . . Kikwete’s response not recorded. 11:39 The moderator has a question for President Kikwete again “What are you doing?” You can’t deny, it’s a direct question . . .
11:40 President Kikwete “The issues are difficult to comprehend” Very true . . . very true. 11:43 Bob’s on again . .
11:45 Sir Bob has calmed down a bit: “Whatever hopes DSK and Kikwete have about the IMf and Africa this is about a different relationship between Africa and the world. don’t go anymore with the attitude of being supplicants. We go into the G8. The G8 which has done so little . . forget the word PROMISE . . it comes with emotional issues. Why don’t Africans say WHERE’S THE MONEY” Echoes of Live Aid in 1985 which I’m sure many of you will remember. Actually, I don’t think he’d calmed down at all . 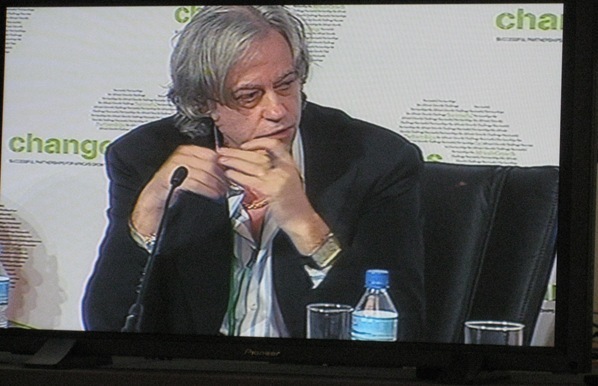 . .
It’s been a dynamite Kikwete v. Geldof session. I’m posting a video of it soon. 12:22 Trevor Manuel: “Between Zimbabwe and ourselves [SA] we probably have 90% of the world’s platinum. Same for DRC and Zambia re copper. If people don’t have money for jewellery it has an impact. It’s different from industries in Detroit that have surpassed their life.” A harsh message for car workers in the USA. 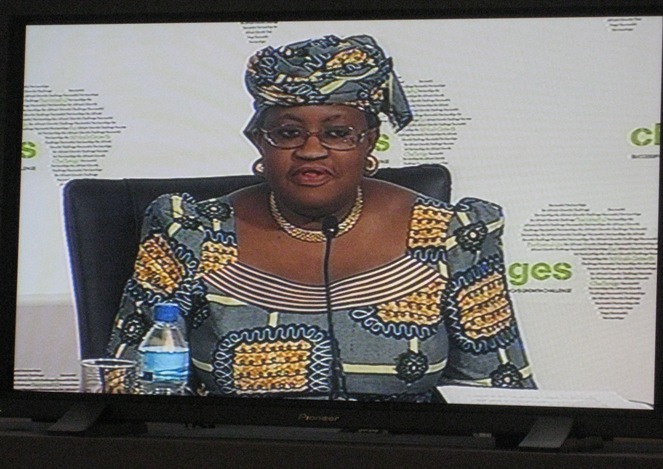 12:30 Ngozi Okonjo-Iweala: “President Kikwete is doing a wonderful job” Some support for the Pres at last . . .